Have you ever experienced slight to moderate coughing after eating your meal? One of the key reason as you experience coughing after eating is the presence of something undesired which body is trying to get rid of. Sometimes a substance trapped inside acts as an irritant inside the throat which body is trying to expel out as a result of coughing. Normal coughing has no particular time, you can cough at any time and there is no specific time for the coughing to get intense. On the other hand, if you are not having a regular or normal cough and immediately after taking the meal you are coughing, it is an indication of serious underlying medical condition and you need to consult your doctor. Sometimes after eating too cold or hot food, the coughing is a normal reaction as body is trying to maintain the temperature. Likewise coughing after eating just to clear the throat is something you should not be worried about. It has to be kept in mind that any cough which is uncontrollable followed by eating is an indication of underlying health concerns. There are so many possibilities which result in coughing after eating the meal. Following are the key causes of post meal coughing. One of the main causes of coughing after eating is certain type of allergies to a particular ingredient inside the food. For example, some people experience coughing after eating bread which is generally due to wheat allergy. Sensitivity to certain type of food is a common condition. Some food allergies develop at adulthood. Sometimes the way food is being prepared can also cause some allergic reactions as well. It is therefore advised to consult doctor if you suffer from coughing after eating meal. Some infections block the passage of food by closing down the esophageal aperture; the condition can also be caused by certain allergies as well as virus or bacteria. Choking is also common in people when they fail to get rid of the food which gets stuck inside the throat. Chesty cough after eating is normally due to underlying infections in the body. Asthmatic people are more prone to develop coughing after eating meal. This is also indirectly due to certain allergies for food or any of the ingredients present in the food. Sometimes the particles inside the food triggers asthmatic response in the body. Hence, if you are asthmatic and suffer from coughing after eating, you need to get immediate medical supervision. GERD is known as gastro-esophageal reflux disease which is characterized by hyperacidity in stomach for the digestion of food. Over eating is one of the main causes of this problem as more food inside the stomach itself is a trigger for acidity. 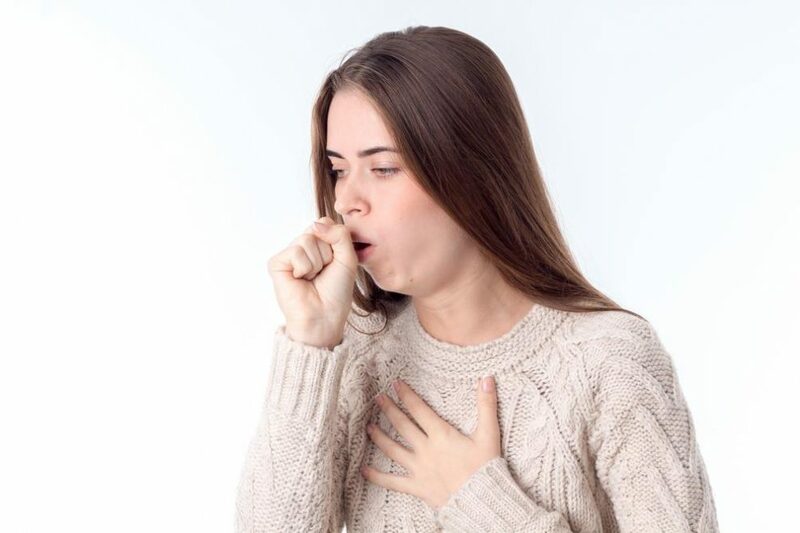 As a result of GERD coughing after eating, one gets a bitter to sour taste inside the mouth and makes the feeling nauseous. This condition results in swallowing difficulties. When there is a problem in swallowing the food, reflexes like coughing are normal in order to spit out the stuck food. Coughing while eating, swallowing difficulties and nausea after meal are some of the conditions caused due to narrowing of esophagus. Once diagnosed with the disease you need to take up a diet which is easy to swallow and chew food thoroughly before swallowing to minimize the swallowing difficulties. Several treatment options are there depending on the cause of this concern. You need to consult your doctor if you don’t cough normally and the reflex is seen right after eating the food. Your doctor will determine the actual cause of coughing after eating and will provide the treatment accordingly. If you have allergy against certain type of food, you will be prescribed some medications. In case of infections of gut the antibiotics are generally prescribed to make the patient feel better. 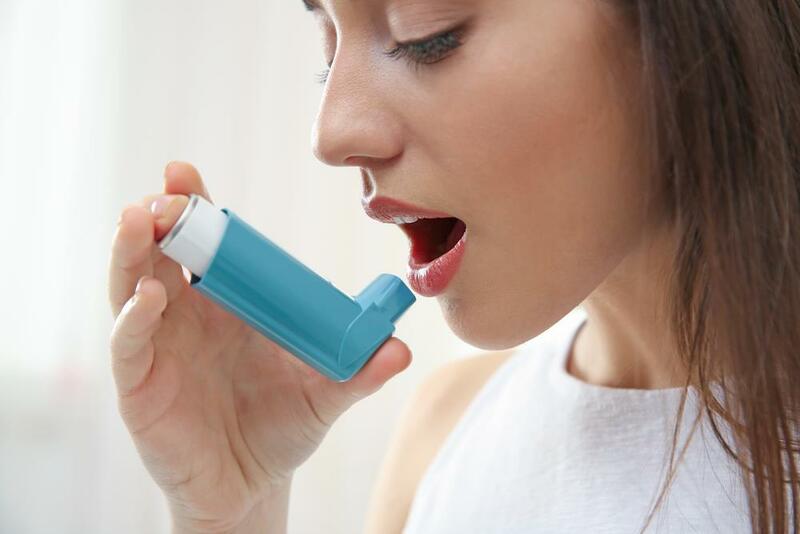 If you are asthmatic you need to avoid the food which is turning out to be the cause of allergy. For allergies, doctors normally prescribe anti-allergic medications. In case of GERD the antacid medications are provided to you, if the disease is at moderate stage, the medication will work and you will feel better within weeks. On the other hand if no medicine seems to work, doctors will ask you for surgical options. In case of Dysphagia, doctors will advise some diagnostic tests to evaluate your current condition. The condition can equally affect people of all ages. For the patients of Dysphagia, doctors advise soft food so that food is chewed and swallowed with ease. Take plenty of rest. A body when tired can show some unwanted responses, coughing after eating is one of the responses. Make sure you get plenty of sleep to allow your body to recover from stress. Use humidifier at home for dry cough or you are coughing mucus after eating. The removal of phlegm is tough while living in dry conditions. The use of humidifier will moisten the nasal passages and phlegm is removed easily. If you are experiencing wet cough after eating it might be due to nasal congestion. Eat slowly and chew the food properly. Coughing during eating or coughing after eating is generally caused when you eat quickly. You need to relax and chew the food properly while eating to minimize the risk of developing any cough after the intake of meal. Coughing after eating is generally common in the people with some allergies or some problems of gut. It is important to consult a doctor in time in order to prevent further complications. If allergy is diagnosed you need to avoid certain food. Medications are available which make it easy to treat the conditions like GERD, Dysphagia and other infections.